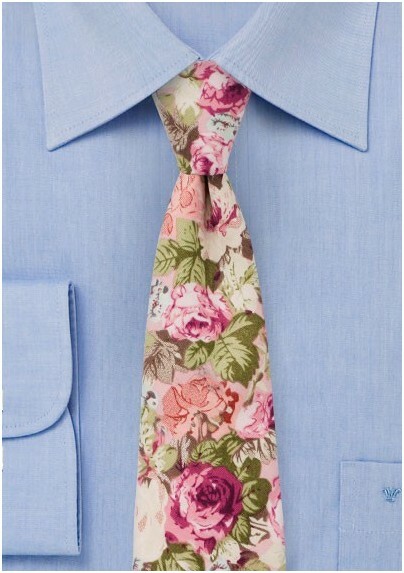 A trendy on-trend floral tie whose design was inspired by vintage 60s wallpaper. Made from a summer cotton fabric, these ties are excellent for spring and summer when dressing with a fitted navy linen sports coat. Also great in combination with tan linen shirt and leather suspenders. 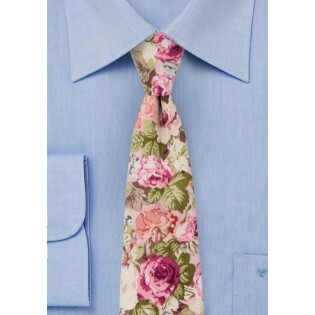 Part of a new floral cotton collection by neckwear brand BlackBird.